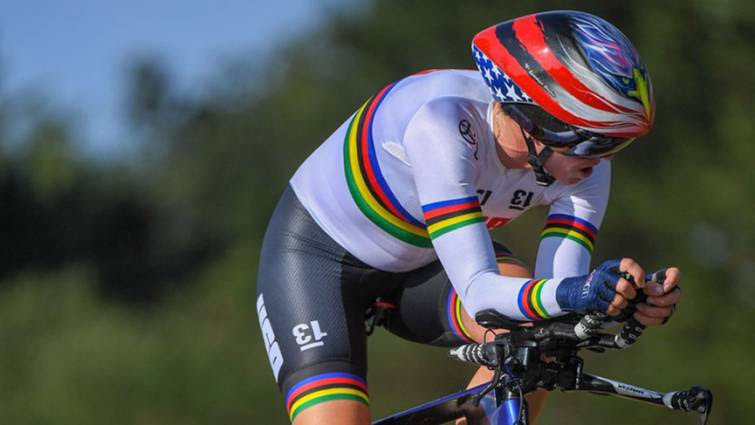 A Loma Linda University Health Team PossAbilities member, Shawn Morelli, road and track cycling two-time gold medalist in the Rio 2016 Paralympic Games, has been named to the 2019 U.S. Paralympics Cycling National Team. Morelli was serving in the Army as an engineer officer in Afghanistan when she sustained serious injuries from an improvised explosive device in 2007. Her life-changing injuries included blindness in her left eye, damage to her neck and nerves, and brain trauma. After being exposed to competitive cycling in 2010, she discovered her passion and began competing on the road in 2012 and on the track in 2014. She says her favorite part of the sport is the freedom she feels while riding, whether for competition, training or leisure. To learn more about Loma Linda University Health PossAbilities program, visit online or call 909-558-6384. This article was written by Sheann Brandon and originally appeared on the Loma Linda University Health website. Image courtesy of LLUH.